Disney's Yacht Club Resort is a New England nautical-themed resort, part of Walt Disney World in Orlando, Florida which opened on November 5, 1990. One of several Epcot Area Resorts, it is located next to its sister resort, Disney's Beach Club Resort, and across the lagoon from Disney's Boardwalk Resort. Although it is considered a separate resort from the Beach Club, they are actually in the same building, and even though the guests do not have any immediate indoor pathways between the resorts, staff can easily walk between them. The resorts share many amenities and resources, including staff and management. 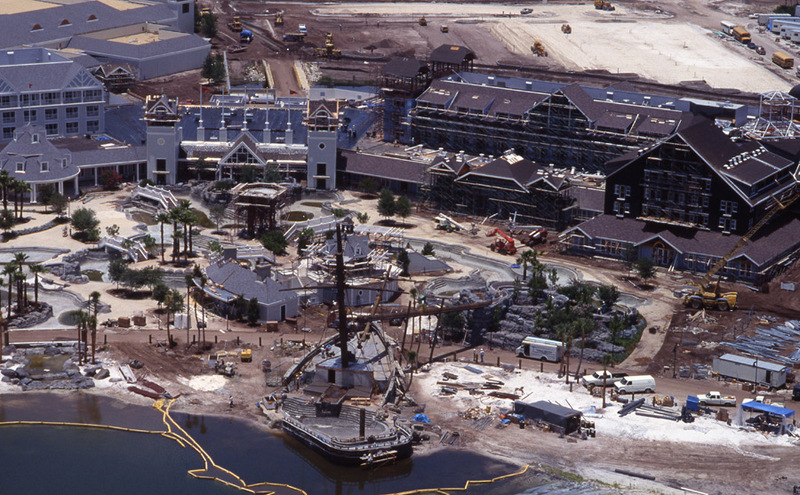 And the two resorts are collectively referred to as “Yacht and Beach.” Boat transportation runs to Epcot and Disney-MGM Studios as well as the Boardwalk and the Swan & Dolphin. It is about five minutes walking distance from Epcot, and roughly 15 minutes walking to The Studios. Guests can use the back entrance to Epcot through the World Showcase between the France and the UK Pavilion. The Yacht Club is home to a 73,000 square foot Convention Center shared with the Beach Club. 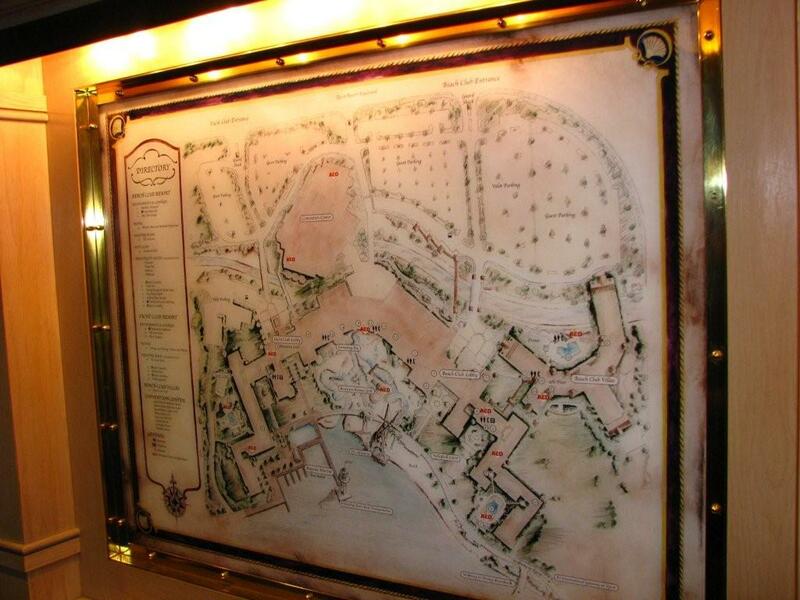 The Yachtsman Steakhouse, the resort's only fine dining location, serves beef from Canada, Australia and the US. The steakhouse has the famous Minnie Moo as their mascot, and a photo of her is shown in the front of the restaurant (next to the butcher’s window ironically). The Yacht Club Galley is the Yacht Club's family oriented dining location, serving New England entrees. The resort's distinctive grey color and red and white striped awnings distinguish itself from the light blue motif of Beach Club. The Yacht Club is slightly more formal in decor, designed to make guests feel as if they are actually on a ship rather than inside a land based structure, and to cater more toward business clientele rather than families. Color tones of deep blues, browns, and bronzes were used to convey a nautical feel. Hidden Mickeys can be found in the carpeting in hallways leading to guest rooms. The Yacht Club also shares one of the nation's largest sand bottom pools with the Beach Club, called Stormalong Bay. 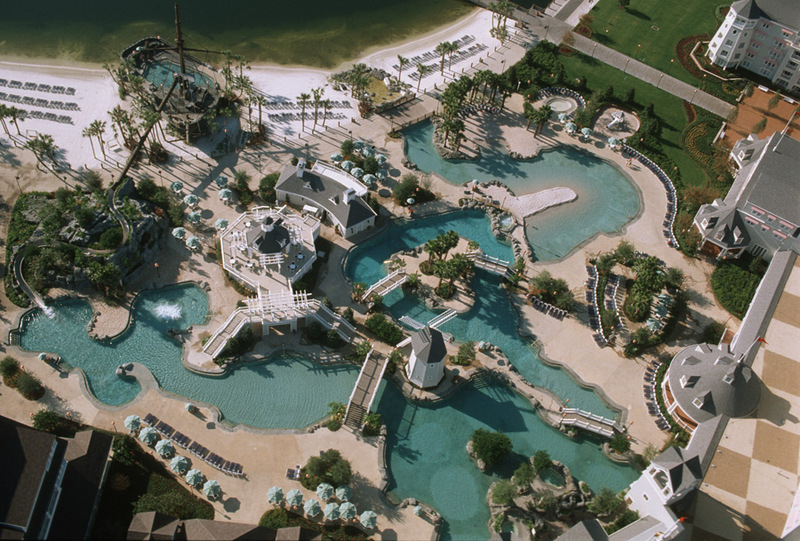 The pool is advertised as a "mini-waterpark", featuring a sand bottom swimming area, lazy river, and large slide from a wrecked ship just outside of the play area on the beach. Ship Shape Health Club A fully-equipped health and fitness center free of charge for resort guests. The health club is centrally located between both resorts and offers quality fittness equipment, steam room, sauna, and spa. The center also offers massage therapy by appointment only.